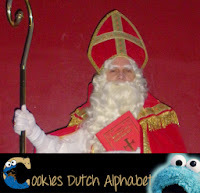 …Sinterklaas! The best Dutch holiday of the year! Every year, at the end of November, Sinterklaas and his friends come to the Netherlands with their stoomboot (steam ship) and on December 5th we celebrate his birthday. But instead of giving him presents, he gets us all kinds of gifts and candy! Isn’t he the greatest? Oh and the candy! 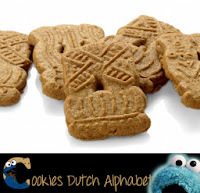 Like pepernoten and oh boy oh boy, speculaas! That is a cookie full of yummy spices like cinnamon and such. It tastes so good! 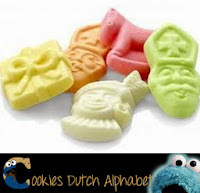 And…oh boy oh boy… schuimpjes too! Those are sweet, soft candies that you can really sink your teeth in… Well, me no have teeth, but you know what me means! It is kinda like meringue, but a little different… O no, now me is hungry! 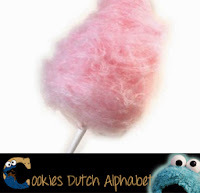 Speaking of treats and sweets, also starting with the letter S is suikerspin (cotton candy) and spekkies. 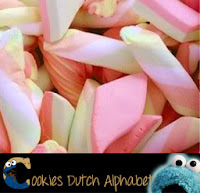 No, no bacon, although that is called spek too… Spekkies are sweet, multi-coloured marshmallows. 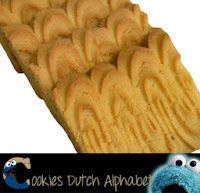 And there are also cookies starting with the letter S. Like sprits, a soft biscuit, and stroopwafel! This thin waffle is filled with syrup. 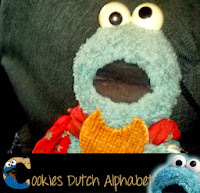 Me have talked about this yummy cookie in a blog a few months ago. 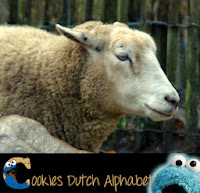 To conclude the letter S, me will talk about a sweet, woolly animal: schaap (sheep). There are a lot of sheep living in the Netherlands, especially on the Dutch island of Texel. People use the wool for knitting sweaters, scarfs (sjaals) and socks (sokken). Nice and warm for winter! Speaking of winter. 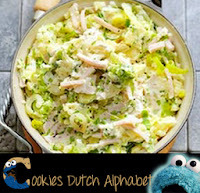 During that season the Dutch love to eat stamppot (stew, like hotchpotch) with rookworst. Really good after a day of winter sports, like schaatsen (ice skating or speed skating). The Dutch are really good at speed skating. They won a lot of medals last Winter Olympics.